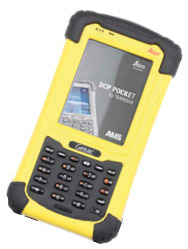 DCP Solutions | A.M.S. Accuracy Management Services Ltd. Mobile software DCP Pocket, on board software DCP05 and DCP Project together with Leica TDRA6000 Laser Station creates perfect tool for all large-scale measurements. DCP Pocket is a metrology software package for fully rugged Pocket-PC for large-scaled metrology.DCP Pocket provides feature based measurements such as single points, point sets, lines, planes and circles. In addition it has properties such as feature construction, on-site analyses of distances, angles and intersections. Reflectorless scanning of object surfaces is also provided.DCP Pocket supports also multiple Coordinate Systems Management and move station routine with automatic point recognition. DCP05 is on board solution for basic measurements.DCP05 is installed as a firmware software to every Leica TDRA6000 Industrial Laser Station. It provides remarkable time saving potential compared to conventional optics.DCP05 features Point measurement mode with motorized AIM function, Roller and shaft alignment, Distance and angle analysis and Data exchange via CF Memory Card. DCP Project is a free of charge supporting PC tool for DCP Pocket and DCP05 measurement software. 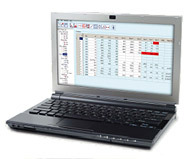 It provides measurement Project planning and MS Excel® based reporting for finished measurements. DCP Project has well organized data tree structure and spreadsheets collecting all valuable Feature information including actual and nominal values. DCP Project also supports CSV importing & exporting and data copy-pasting from-to MSExcel®. You can get your own FREE DCP Project sending mail to us. 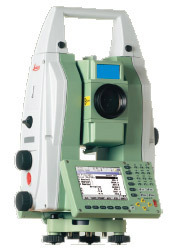 The new Leica TDRA6000 is the most accurate total station ever designed for industrial use. 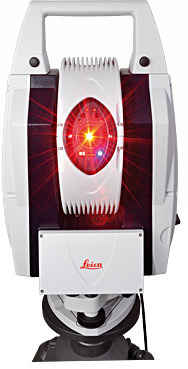 This new Leica Geosystems laser station has the ability to automatically target both CCR and tape targets and can even measure without targets maintaining a typical reflector less accuracy of 1 mm. The Leica Absolute Tracker AT401/402 is portable coordinate measuring machine (CMM) that allows extreme precision over ultra-high distances. It is able to be powered by its own internal battery and is able to work in the most demanding environment.